Tyson is a name that has been around for as long as I can remember - and for that reason, I love to see them coming out with new products. It is like having a company grow up with me. When I was young, Tyson was for one thing and one thing only in our home - chicken. Now they have a line of products that include chicken, beef, pork, appetizers, sandwiches, entrees and more. Check them all out here. Ok, ok - maybe I am bragging a little. 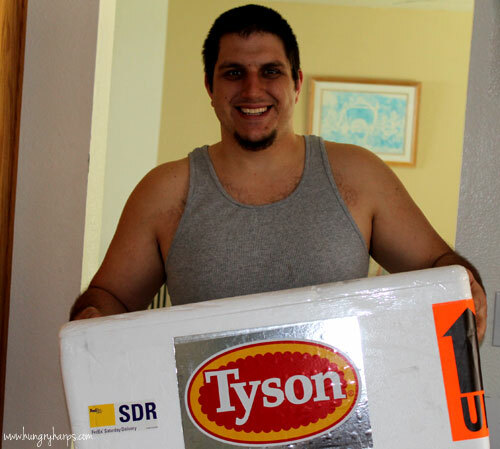 :) Oh, and that Tyson box? Well, inside that box was a brand new product by Tyson - just waiting to be chowed down by the Hungry Harps!! Have I ever mentioned how much we ♥ bacon? 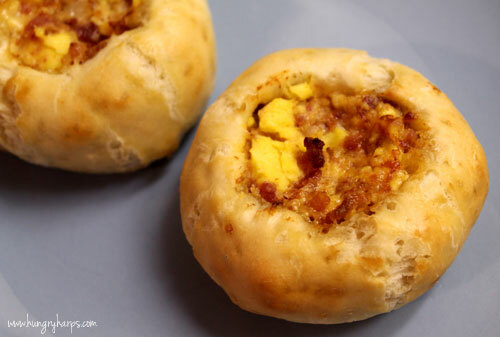 Bacon Breakfast Bread Bowls!! 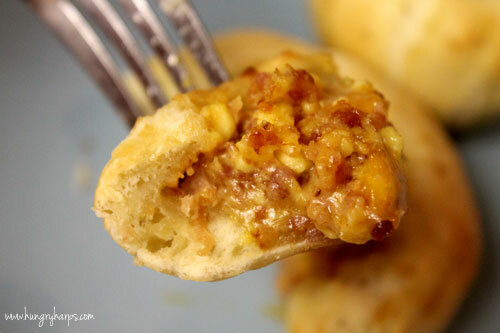 Everything about these sounded right, from the bacon to the bread to the eggs to the cheese. (You know I ♥ cheese!!) 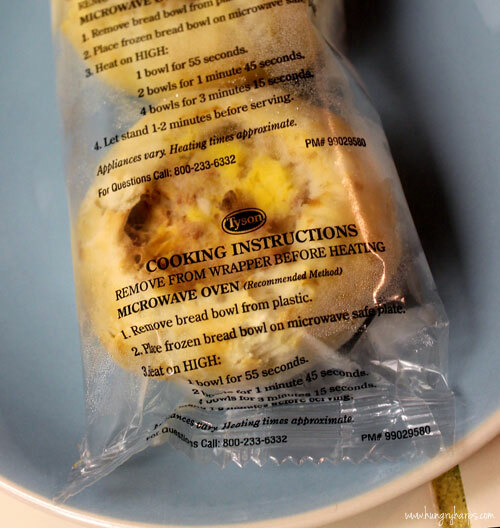 Plus, they are microwaveable. This is usually not something that appeals to me, as I am an oven-kinda-girl, but I had my hubby in mind here. These would be perfect for him before he heads off to work. A piece of fruit, a glass of milk and a couple Bacon Breakfast Bowls would be great for him!! Since we received our shipment at 8 in the morning, we decided to try them out for breakfast. The kiddos had already had their cereal and fruit - and like usual, we were going to be skipping the most important meal of the day... so thank you, delivery man, for delivering to our house so early!! 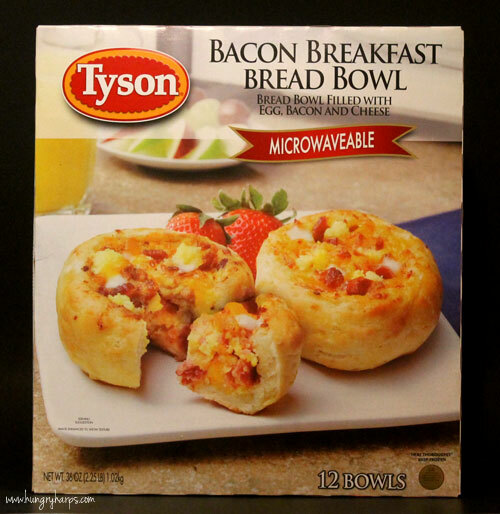 These Tyson Bacon Breakfast Bread Bowls are delicious and are NOT soggy, chewy or greasy! Mr. Hungry Harp and myself were completely impressed with these Breakfast Bowls. We both thought the flavor of the bacon was great - and we are both "bacon snobs". The eggs were the perfect texture, which was a relief because usually frozen egg products leave a lot of room for improvement... And let's not forget the cheese - it was exactly the amount that I would add, and I am a cheese ♥'er. Check out where to buy Tyson's Bacon Breakfast Bread Bowls here. Tyson is also on facebook and twitter - so check them out - they have a huge line of products for so many needs, now including breakfast! oh yeah now that is something I would love. I will have to check those out next time Im at the store. Holy cow, that is quite the shipping box! These sound awesome - I am trying them this weekend and now I can't wait! !